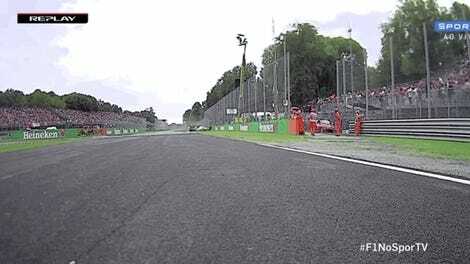 Race fans around the world were jumping to their feet and dropping jaws left and right during the final moments of qualifying for F1's Italian Grand Prix this Saturday morning. Yeah, that’s right: they just watched Kimi Raikkonen set the fastest lap ever in Formula One history. The battle between the two Ferraris and Lewis Hamilton’s Mercedes was breathtakingly close. Hamilton crossed the line for pole before, milliseconds later, Sebastian Vettel and then Raikkonen followed afterward, each one setting a faster and faster lap. This is a pretty huge deal. The fastest qualifying lap was set by Juan Pablo Montoya in 2003, and it’s been a nearly impossible bar to meet since then. But those three aforementioned drivers crushed that lap record six times in Q3. Raikkonen crossed the line with a 1:19.119 lap, coming in at a speed of 163.785 mph. Blink and you’d miss him. But, this is F1. No stellar finish is going to be complete without a little bit of drama to spice things up. See, Monza is well known as a slipstream track—tuck in behind a speedy car, and they’ll do all the work pulling you around the track. Raikkonen had snuck in behind his teammate during that last lap around the circuit. 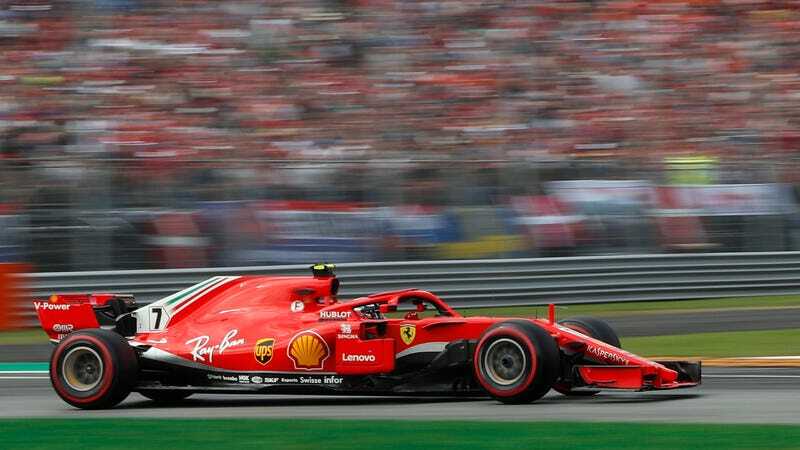 It proved to be a pretty smart idea, given the fact that it basically slingshotted Raikkonen across the finish line just slightly faster than Vettel. Given the fact that Vettel is in a pretty heated championship battle with Lewis Hamilton as both of them race to secure their fifth World Championship, you can see how that would, uh, be slightly less than favorable. Vettel stated that “we will speak about this afterwards” on team radio. He is certainly not a happy man. But, folks, let’s set championships aside and focus on the beauty of the moment. Kimi Raikkonen is now officially the fastest man in Formula One history. The man really does know what he’s doing.